Do you have aging relatives that do not want to leave their homes even when you see them having a hard time being at their homes? Deep within, you know that you would like to honor their wishes. Statistics show that there is a decline of seniors 65 and over who have disabilities choosing not to go to assisted livings or nursing homes. Inversely, there is an increase of the same population who choose to receive their care at home. NO to assisted living facilities. NO to nursing homes. NO to adult day care. NO to moving in with adult children although the last one is less rejected. Are they just plain difficult? Could their no’s be part of the bigger scope of their medical diagnoses? Studies show less cost, better care and better outcomes in home health. Where do you begin? How would you then design your loved ones’ homes for healthy aging? Is it walker or wheelchair accessible? Is the floor smooth but not slippery for wheelchair and walker? Is it easy to clean? Do you have handle bars in the bathroom, bedroom and other parts of the home when need be? Will the changes provide some degree of mobility, freedom and safety? A well designed structure makes a significant difference to everyone from those who live in the home with individuals who need a special safety and mobility structure and to those professionals who come to deliver professional skilled services to clients. The turnover of home health assistants is less and this is beneficial for consistency of care because they are not limited to what they can do because the home is now designed to facilitate delivery of skilled services from simple bathing to moving around for physical activity. Are all rooms and hallways lit up well? Are the switches visible and accessible as one enters and leaves the room? Are there lights in the closet? Are there lights in the cabinets under the kitchen counters? Do you have high wattage for brighter illumination? Decrease in vision comes with the aging territory. Make the most of wide windows, doors and sunroofs where natural light can come in abundantly. Are the steps different colors than the surrounding areas? Do you have bright colors for on and switch buttons? Do you have contrasting colors of yellow and red for easier recognition of spatial differences? Studies recommend that contrasting colors can be used as cues for recognition of environments for the aging population. They have a great ability to discriminate between contrasting colors and would be very useful to highlight important features such as doors, steps and windows. Also, colors brighten up the ambience and elevates mood in all ages. These are just some of the highlights of what to think about in setting up the best environment for aging. There are more to look into. Obviously, it will be customized for every family. Consult with Mobility Contracting and Consulting. Designing and creating group homes and private homes that are responsive to the needs of the disabled and elderly population is the company’s expertise. Mobility considers affordable cost without sacrificing the benefits for which the construction is intended for. For example, let’s look at the use of offset door hinges. When you are in a wheelchair or use a walker, often door widening projects can cost $750 to $1,500.00 plus dollars for the reframing of the entire door, and purchase and installation of new wider door. Often there is a light switch right when you enter a room, so widening the door may also require paying an electrician to move the electrical outlet. However, if for example your wheelchair is 28″ wide and your existing bathroom door is 30″ wide, consuming 2 inches in a net clearance of 28 does not give you much leeway. 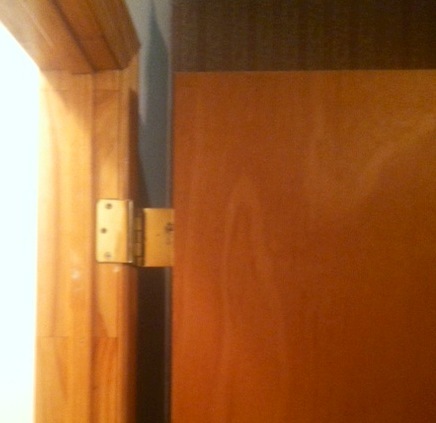 An offset hinge makes a 90 degree turn, allowing the door to swing open behind the door jam. Now the same 30 inch door has a full 30 inches of clearance providing an additional 2 inches for you to easily enter a room. And the best part, voila, offset hinges coat about $20 each and door typically has two or three hinges, so for a cost of $40 to $60 in materials you can have your door wider without spending a thousand or more dollars installing a wider door. No need to sacrifice comfort for the cost. You can have it all. 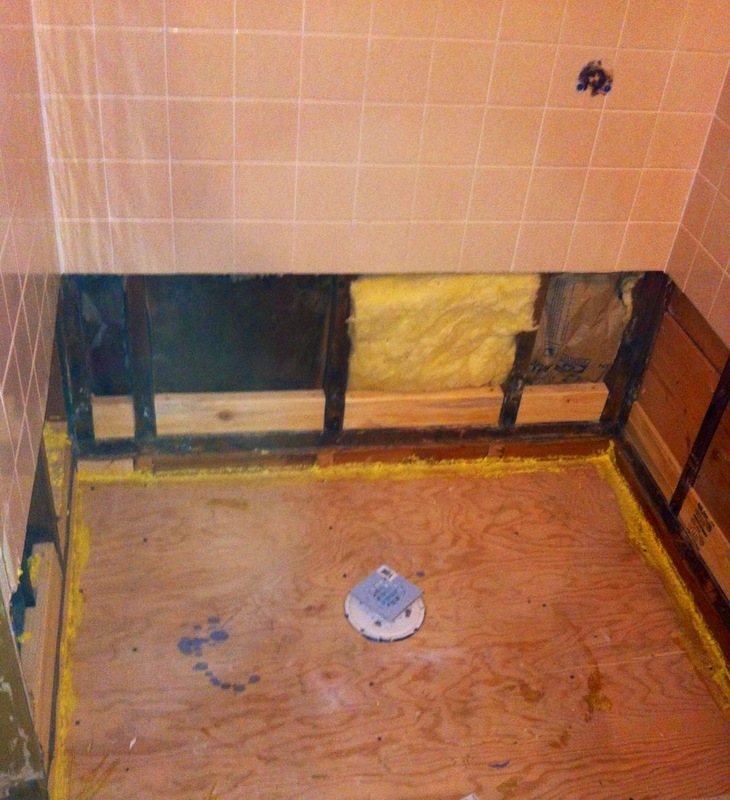 Let’s look at another photo story: How to prepare for a custom tiled roll in shower. 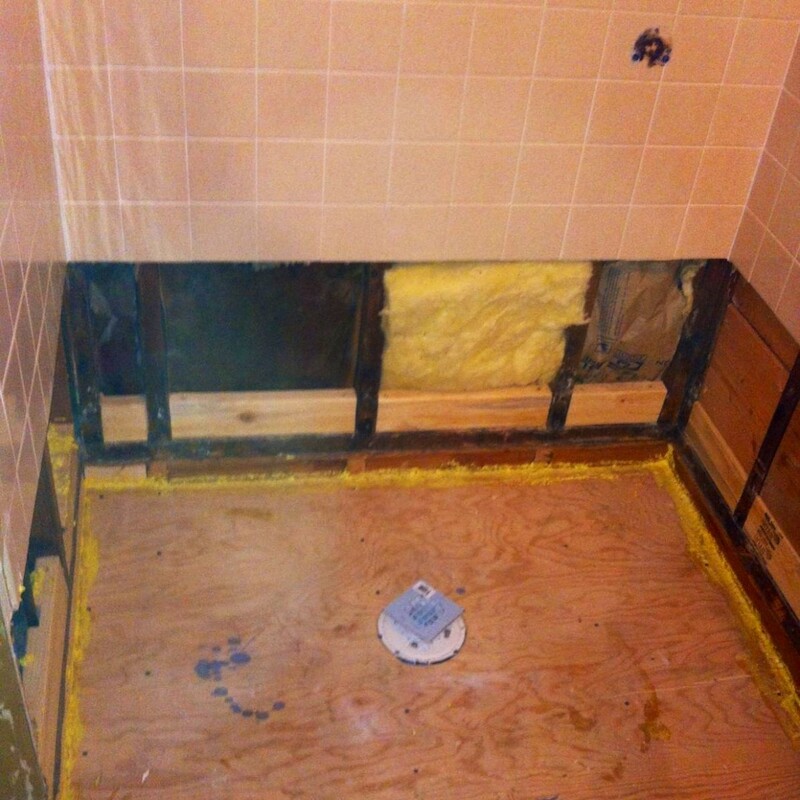 The correct way to build a roll in shower is to remove the existing bathtub or shower with a threshold and lower the finished floor in the shower area a minimum of 2 inches. This will provide a pitch going from the edge of the new zero threshold showers to a center drain in the middle of the shower floor. Alternatively, the bathroom floor can be raised to create a pitch for the lower roll in shower floor. However, raising the bathroom floor can create a higher door threshold, effectively making it easy to enter the shower but difficult to enter the higher entry door threshold to your bathroom. Careful renovation details as such come from years of experience in this work. For you, things can be overwhelming when you feel like you don’t know or don’t have any help. The truth is YOU HAVE HELP WAITING FOR YOU. This is the time to maximize resources that are available. Why go through changes alone when you deserve the help that you can get. DO NOT BE OVERWHELMED, BE EMPOWERED. BE EMPOWERED as you are informed that you can WAIVE CONSTRUCTION PERMIT FEE TO PROMOTE ACCESSIBILITY. 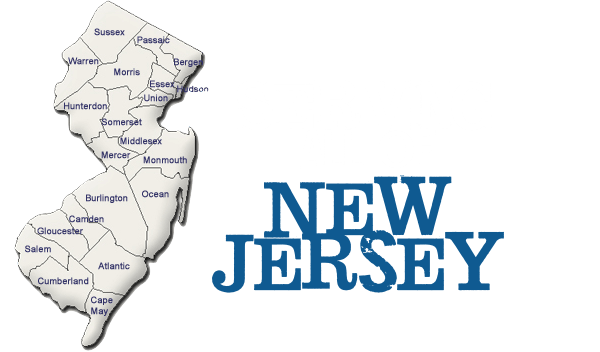 This act was submitted as New Jersey CH 92, Laws of 1996 (S912) Enacted into law, 1996. This act permits local governments to waive permit fees and surcharges for construction projects that are undertaken to promote accessibility for disabled people to existing buildings. The law also permits local governments to waive fees when disabled people take out permits to improve the accessibility of their own homes.